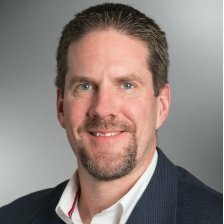 John Grimm is the senior director of IoT security strategy at Thales eSecurity, an industry leader in advanced data security solutions. His 25 years of experience in the information security field began as a systems/firmware engineer building secure cryptographic key distribution systems. He has held leadership roles at companies in multiple areas of cybersecurity, including identity management, networking, PKI, cloud, encryption and key management. John received his bachelor’s degree in electrical engineering from Worcester Polytechnic Institute in Worcester, Massachusetts, is a fellow of the Ponemon Institute, and a member of Tau Beta Pi, the engineering honor society.